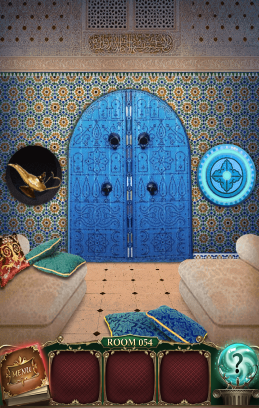 Spin the left circular blue object next to the door until it disappears to reveal the magic lamp. Place the lamp on the right couch. 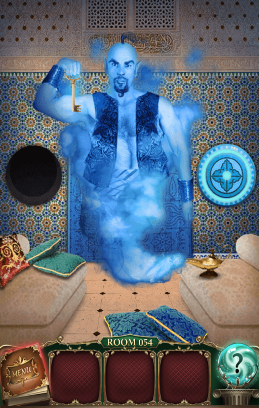 Rub the lamp until the genie comes out with the key.